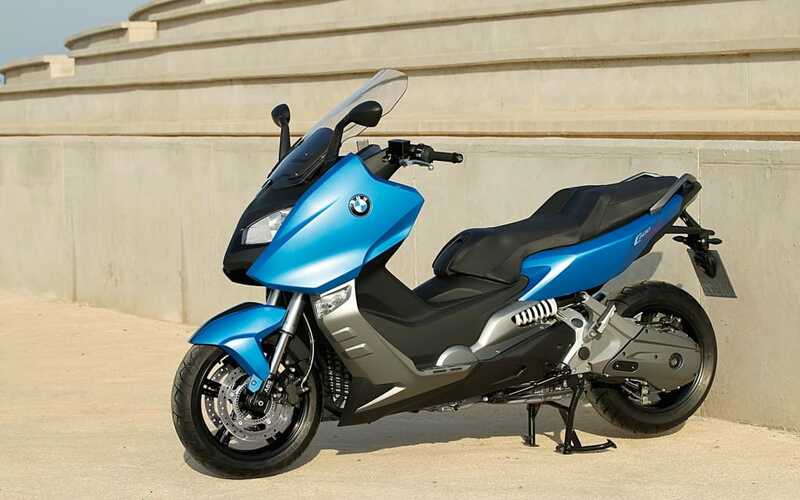 With the launch of full-sized sport and touring scooters by BMW, the distinction between motorcycle and scooter has become nearly invisible. 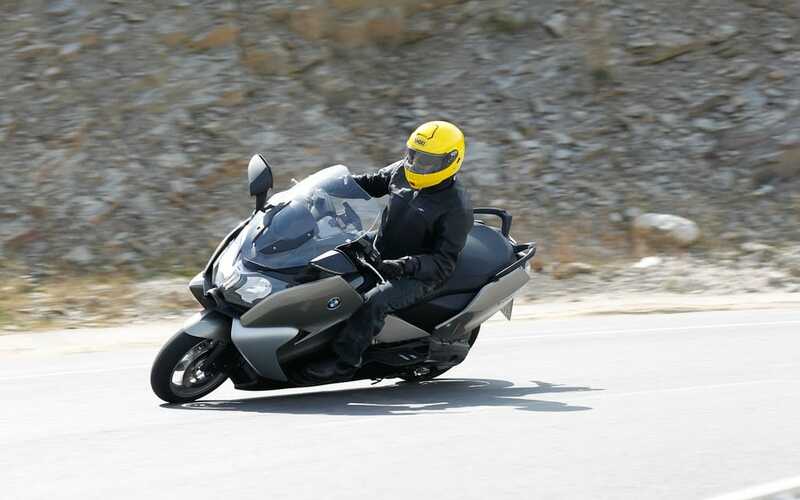 When riding either the C 600 Sport model of the C 650 GT, it’s easy to forget that you’re not on a real motorcycle – until you try to shift gears or use the clutch. 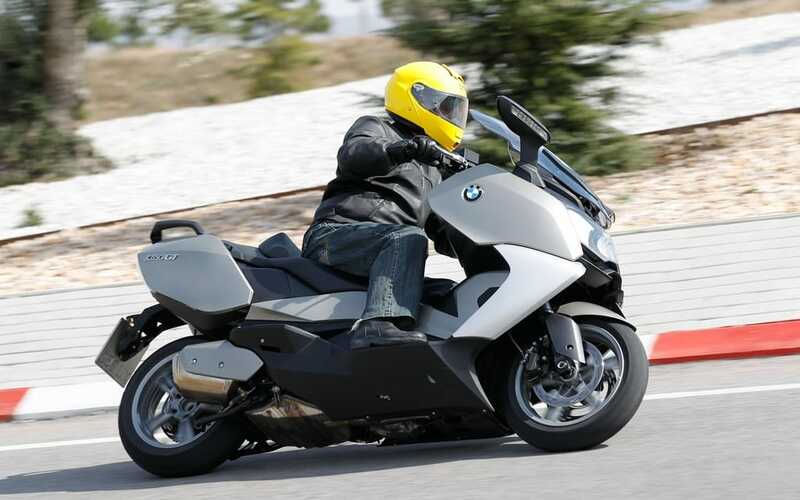 Both models are powered by a 647 cc parallel twin engine that lies down lengthwise in the frame. Cylinders are inclined almost straight ahead to reduce the engine’s vertical size and allow a scooterish step-through layout. 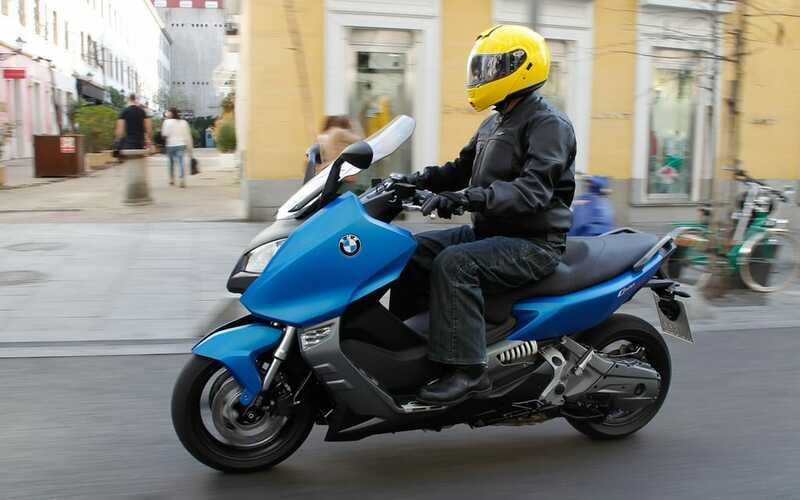 The two scooters are aimed at “the urban mobility segment,” according to BMW, so they were shown to the press in Madrid, which is about as urban as you can get, but not very mobile. The Spanish city is clogged with vehicular and pedestrian traffic to the point that rules of the road are nearly ignored. 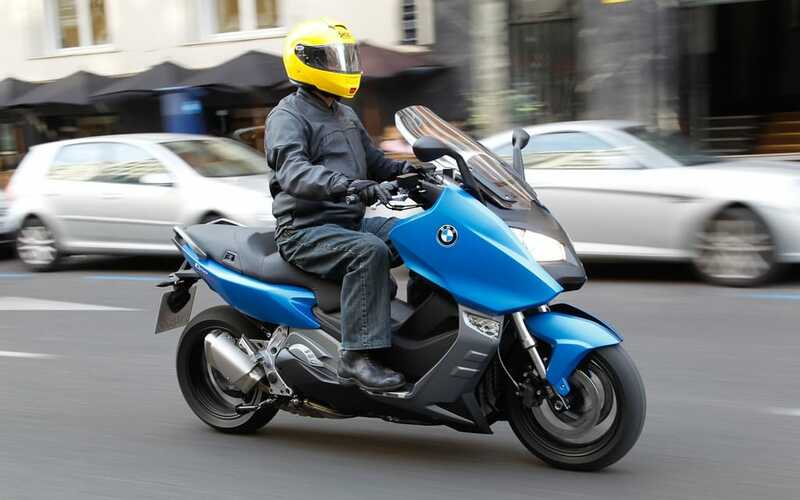 We were able to ride the C 600 Sport model in downtown Madrid, where it proved to be competent, squeezing down narrow lanes and squirting ahead of jammed traffic with ease. We were given the larger GT model the following day, in a rural setting, and were able to ride it only briefly in city traffic, but it demonstrated good manoeuvrability and sufficient power for a busy city environment. Claimed maximum power for both models is 60 hp at 7,500 rpm and 49 lb-ft of torque at 6,000 rpm, and wet weight is 249 kg (548 lb) for the Sport and 261 kg (575 lb) for the GT. Those are not impressive power-to-weight figures, but these are scooters, and they are equipped with continuously variable transmissions, so hard launches and fierce acceleration are not possible. Still, on a run out of Madrid into the Spanish countryside, we saw speeds of 160 km/h and could have gone faster. On a twisty, nearly deserted two-lane highway, both the Sport and the GT handled with confidence inspiring stability but felt very light and flickable. You don’t expect a lot of ground clearance on a scooter, even a big scooter, but I touched the right side of a centrestand down just once, following a photo car that was driven through a section of curves in a brisk manner. At other times, even the heavier GT model refused to touch anything down when leaned hard over in tight corners. You don’t give up any handling ability that I could detect in order to get the convenience of a scooter. But that convenience is compromised, slightly and unimportantly. Most of the time, when mounting or dismounting one of these scooters, riders simply threw their right leg over the seat, as you would for a motorcycle. That’s because the engine, which is mounted quite far forward to enable a useful balance and centre of gravity, disrupts the step-through line of the scooter. Still, the power and handling characteristics of these large scooters felt very much like you’d expect with a 650 cc motorcycle. Both scooters have a large volume of storage room under the seat, which is hinged at the front and can be swung up almost to the vertical. The GT model shows off a deep well below the seat that could be used to stash a couple of full-face helmets (what look like hard saddlebags on the GT is merely a pair of bulges in the bodywork to allow a larger underseat storage area), but the Sport model, with its slimmer sides, does not appear to have enough room under the seat for a helmet – even though there is clearly the shape of a helmet inscribed in the floor under the seat. But slide a small tab and push down, and the floor pops downward, making a hole for a helmet and nearly touching the rear tire below it. The C 600 Sport will not start with the floor in the extended position, a fact that embarrassed and inconvenienced me a couple of times but proved to be a useful safety factor. 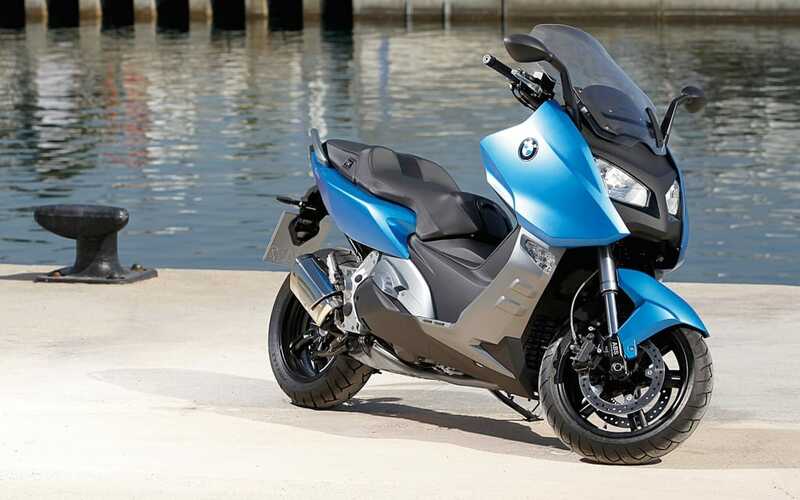 BMW hinted that coming scooter models will be electrically powered, but with these 647 cc internal combustion engine models the Bayerische Motoren Werke has built scooters that offer a higher level of performance than you might expect. 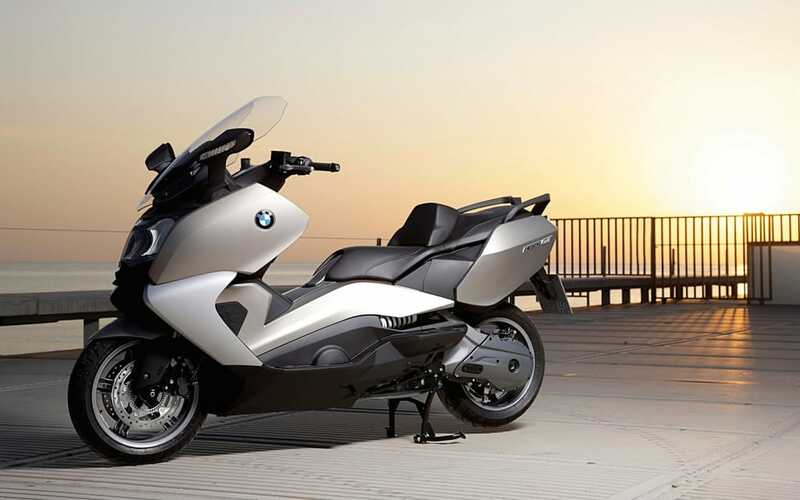 We can’t say that these are faster or more competent than other full-sized scooters, but we can state that for a busy city environment or a twisty country road, BMW’s new scooters work very well.